In honor of World Tourism Day, we celebrate the different ways digital innovation has transformed the way we discover, book, and travel to destinations around the world. The tourism sector is constantly changing and in preparation for looking to the future of tourism, CheapOair.com is analyzing the past. More specifically, the leading online travel agency recently released some interesting highlights about the way Americans have traveled over the last four years. According to CheapOair, the busiest day to travel in the U.S. last year was on December 22nd. This is consistent with CheapOair’s annual data which shows the busiest time of year to travel is during the December holidays. December 21st, 22nd, and 23rd are consistently the three most popular days to travel year after year. If you’re planning a trip over the holidays this year, be sure to book well in advance. It might also be worth considering traveling on alternate dates. In the past year, most CheapOair customers completed their bookings on the desktop site, but the company is seeing rapid growth in the use of mobile devices. 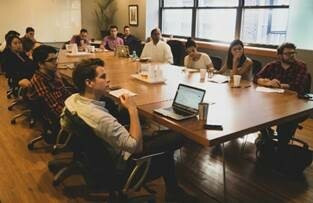 In the past three years, mobile bookings have tripled and now account for close to 50% of total bookings. CheapOair also offers 24/7 access to live travel agents via telephone or live chat. Some Americans still value the ability to talk to a human, with approximately 15% of bookings made with the assistance of an agent in 2017. Most Booked Domestic Routes in the U.S. In the U.S., each coast thinks they are the best coast. Based on our data, popular American routes run more north-south than east-west. This year the most booked domestic routes were Las Vegas to Los Angeles, Newark to Fort Lauderdale, and Dallas to Los Angeles. Around the World and Back: Most Booked International Routes Out of the U.S.
Los Angeles to Guadalajara was the U.S.’s most booked international route on CheapOair.com. In close second was New York to Kingston, Jamaica, and Los Angeles to Mexico City. Based on passengers booked for travel from 1/1/2017 – 12/31/2017. Based on passengers booked for travel 1/1//2014 – 12/31/2017. Based on number of bookings made on mobile devices 1/1/2014 – 12/31/2017. Based on number of bookings made with an agent 1/1/2017 – 12/31/2017. 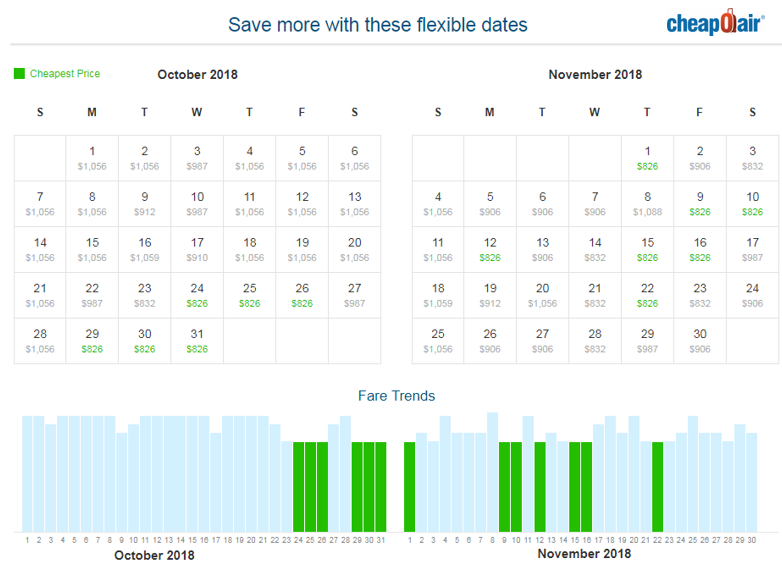 CheapOair.com, a leading flight-focused hybrid travel agency, has announced the release of its Super Flex Deals, a low-fare calendar and bar chart showing alternate airfares for two months surrounding the selected travel date. The new feature gives customers valuable insight into when fares will be at their lowest and has the potential to offer significant savings to customers with flexibility. The intelligent page only displays if a cheaper fare is available within the 60-day window specific to the customer’s origin, destination, and desired trip length. The page is fully interactive where customers can click on the calendar or fare trend bar to see a lower-priced option. Super Flex Deals are an extremely beneficial decision-making tool for price-conscious consumers who haven’t chosen their travel dates. Customers will see the potential savings instantly rather than having to spend hours performing many searches to find the best price. 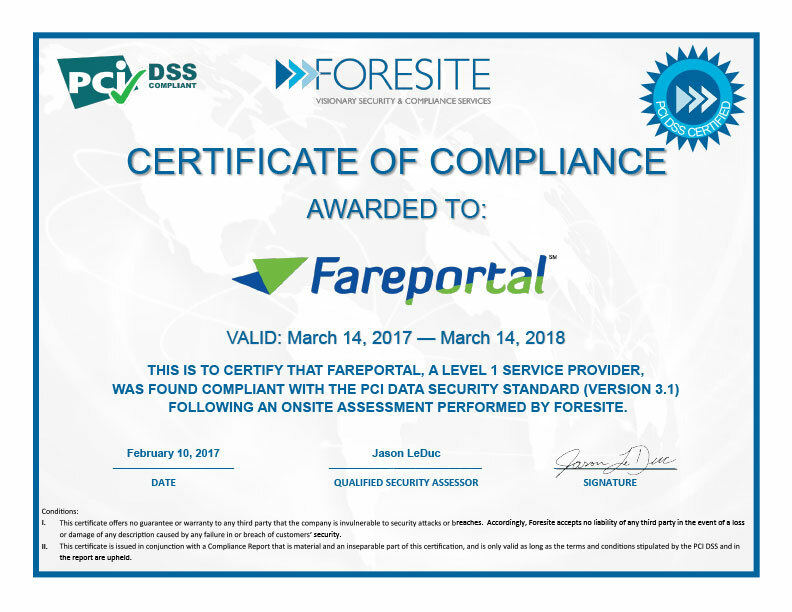 Fareportal, the travel technology company powering CheapOair and OneTravel, and the winner of 19 Travel Weekly Magellan Awards over the past seven years, today announced they have earned yet another – a Silver Magellan Award for CheapOair’s mobile web product. CheapOair’s mobile web application has seen significant developments over the past year giving customers more flexibility in how they search for, and book travel on-the-go. Some of the features highlighted in the award entry included the integration of Apple Pay, the use of AI and machine learning to make the mWeb experience more personalized, and the adoption of AMP (Accelerated Mobile Pages) for a more mobile-friendly experience.